Eric Youngstrom, University of North Carolina professor of psychology and neuroscience, and psychiatry, delivers his keynote address April 19 to begin the two-day Emerging Scholars Series. 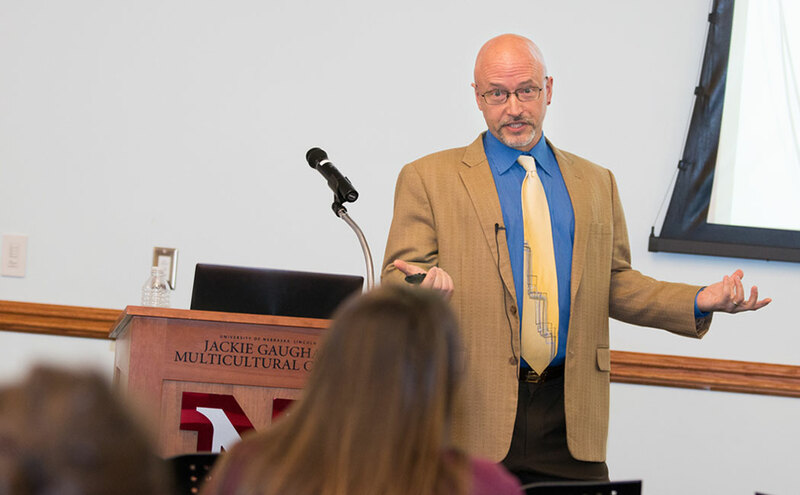 Eric Youngstrom, University of North Carolina professor of psychology and neuroscience, and psychiatry, led the April 19-20 Emerging Scholars Series hosted by CYFS’ Nebraska Academy for Methodology, Analytics and Psychometrics. The event’s keynote presentation, titled “Moving from Intuition to Machine Learning: How Can Quantitative Methods Improve Clinical Decision-Making?” is now available on video. The two-day event also featured workshop sessions that addressed Receiver Operating Characteristics analysis, known as ROC.